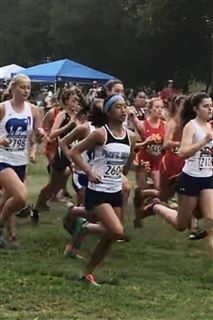 Kimberly Cheung '20 has started the cross country season strong, setting a new course record! On September 15, she ran the Morley Field 2.75-mile course with a 16:41 at the Mt. Carmel/ASICS meet! She beat the record set by Delaney Miller '14 by 31 seconds. Great job Kimberly!